Chamberlain Ward is an acute service for men who have been detained under the Mental Health Act. It provides a safe environment for people experiencing an acute episode of mental illness and who need assessment and stabilisation. Our support programmes encourage people to be involved in their care and the support on Chamberlain is designed to help the person stabilise, recover and return home as quickly as possible. We offer a robust environment, specifically designed to support individuals who are experiencing significant levels of challenge. We can admit people 24 hours a day, seven days a week. Everyone on Chamberlain Ward has a primary nurse. They are also supported by the individual ward MDT which includes a designated Associate Specialist, Clinical Psychologist and Assistant Psychologist, Occupational Therapist and Occupational Therapy Assistant. They support the focus on recovery which contributes to a shorter stay for service users. As a relatively short stay ward, with a focus on helping people stabilise, we offer a range of groups to support people in the shorter-term. They include mental health awareness groups – we look at symptoms and managing symptoms and diagnosis. We also offer a range of drop-in clinics. We also look at if we can provide short term psychological interventions. This sees us offer short psychology therapies for specific problems such as anxiety, sleep disorders and flash backs. All short-term interventions we offer are based on the CBT approach. The ward offers a range of internal social, relaxation and activity spaces as well as outdoor space. There is an ADL kitchen and a variety of activity rooms. 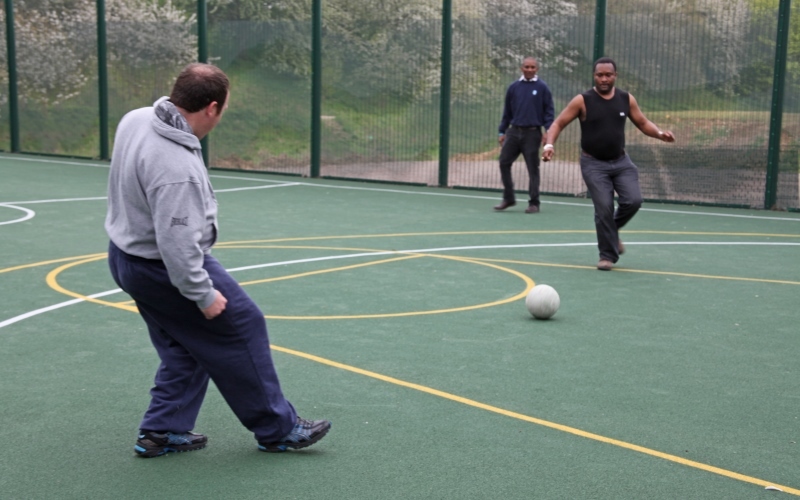 During their time on Chamberlain people can take part in an extensive programme of therapies and activities – these include gardening, modelling group, the walking group and fitness. People on the ward are encouraged to take part in the “working week” of therapy and meaningful activities which are offered as part of the Chamberlain ward programme. A broad range of activities and therapies are held and we offer a minimum of 25 hours’ therapy and meaningful activity each week.